Disclosure: I received products for review purposes only. Any opinions are my own. 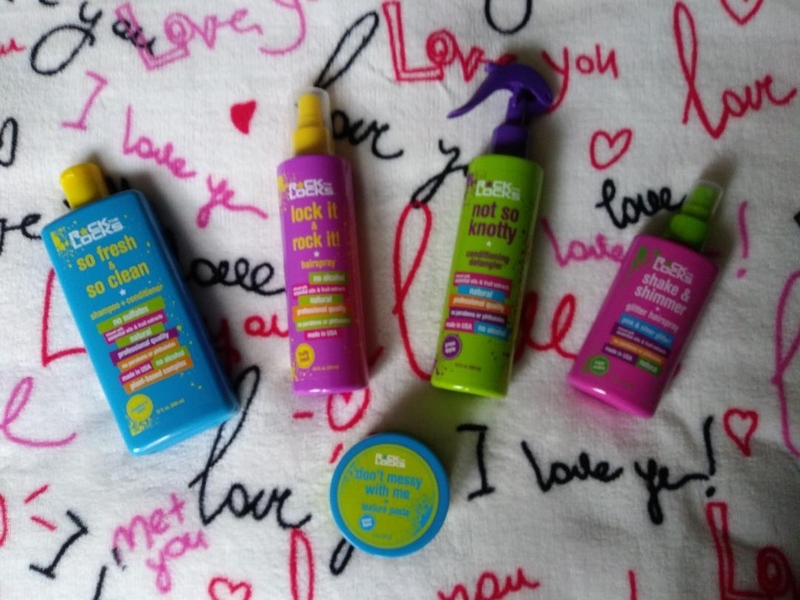 Rock the Locks is a line of products made just for kids. Kids will love having their own products with fun packaging names and fresh fruity scents. Mums will love that they are made without any harsh chemicals and affordable. 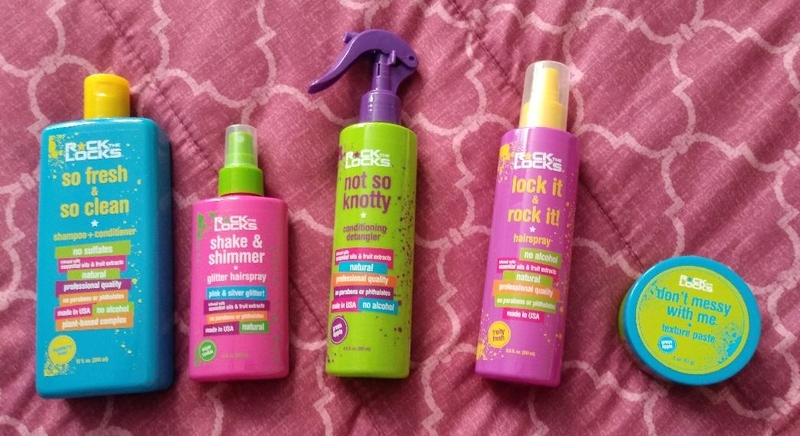 Rock the Locks products do not contain any sulfates, parabens, phthalates, or petrolatum. Instead, they are infused with essential oils and super fruit extracts. The 2-in-1 Shampoo & Conditioner gently cleans, conditions and adds a bit of shine to all types of hair. Follow with the Not So Knotty Detangler for extra conditioning and easy brushing. If you are blessed with waves or curls, try the Curl Boost to enhance their beauty. The lock it & rock it hairspray is the perfect finishing touch for when you need that extra hold and shine. Try the glitter hairspray for added glitter fun in silver and pink colors. The Texture Paste is great for styling. We got to try a few of the products listed above. My daughter loves having her own line of products and has super long wavy hair, so we really put these products to the test. The 2-in-1 shampoo & conditioner is her favorite and smells the best. She loved trying out the fun glitter hairspray, too (it was easy to remove)! The detangler was fantastic for me because I brush her hair every morning :) My son has very short hair so we only used a few products on him. He liked the smell of the detangler in green apple and I love giving his hair a little spray with it for the few times a piece of hair sticks up after sleeping on it. I love that these products appeal to both my girl and boy and are made without any harsh chemicals right here in the USA! © 2018 Mammanatty. All Rights Reserved.